DAILYKENN.com -- If you consider the lake a "hole," I've hit plenty holes-in-one in my lifetime. 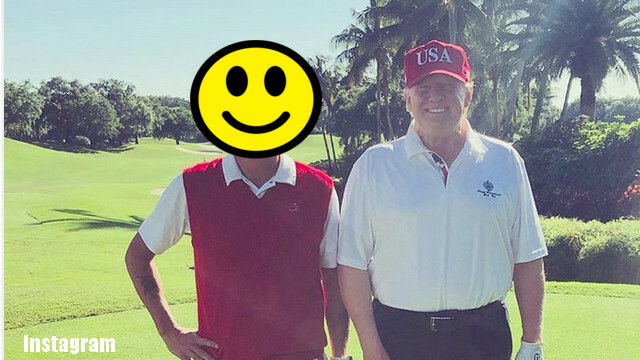 Aside from that golfing is not my sport. It does, however, seem to be a favorite of presidents past and present. 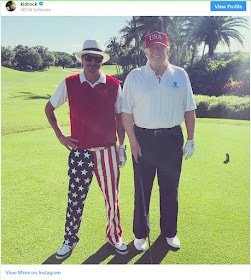 Donald Trump took to the greens Saturday, March 23, along with Robert James Ritchie, aka, Kid Rock. The professional musician identifies with Republicans though he supports aborting pre-born babies and support homosexual marriages, according to Wikipedia.